A loss of vision that is severe enough to hinder an individual’s ability to perform daily activities such as reading, cooking, walking outside, driving safely, while still retaining some degree of usable vision. A level of vision loss that has been legally defined to determine eligibility for benefits. The clinical diagnosis refers to a visual acuity of 20/200 or less in the better eye with the best possible correction, and/or a visual field of 20 degrees or less. Often, people who are diagnosed with legal blindness still have some usable vision and many can be helped by low vision glasses or other devices. What is Different About a Low Vision Evaluation? A low vision evaluation is quite different from a typical eye examination. The purpose of a low vision evaluation is to help maximize the person’s remaining vision and allow them to return to activities that have been difficult or impossible because of their vision loss. A low vision evaluation requires time, patience and skill in order to properly assess the patient’s vision and to prescribe appropriate devices which maximize the vision. 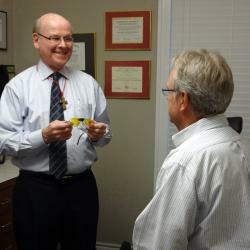 Dr. Armstrong spends over an hour with each low vision patient. First, a list of the patient’s goals is made. They are asked what activities are most important to them that they’d like help with. Next, the level of remaining vision is determined while using their present glasses or magnifiers. Once this information has been obtained a careful evaluation their vision is performed using various low vision glasses and other devices. Consideration is given to lighting and the distance from the patient to the objects that they’d like to see better. It is helpful for the patient to bring the books, newspapers, pictures and other things that they would like help seeing. When Dr. Armstrong has completed the low vision evaluation he will recommend specific low vision devices to help accomplish the person’s goals. He will give the person the opportunity to see exactly how they will see with the various devices. They will be ableto experience their vision with the recommended glasses and compare with their old glasses. 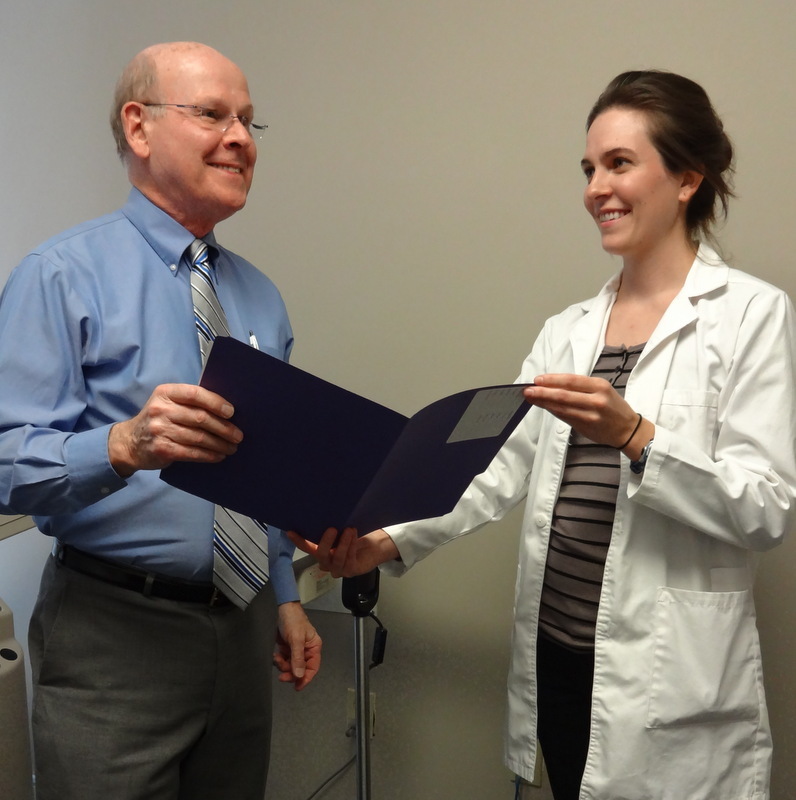 Dr. Armstrong will recommend ways of preserving and protecting remaining vision.